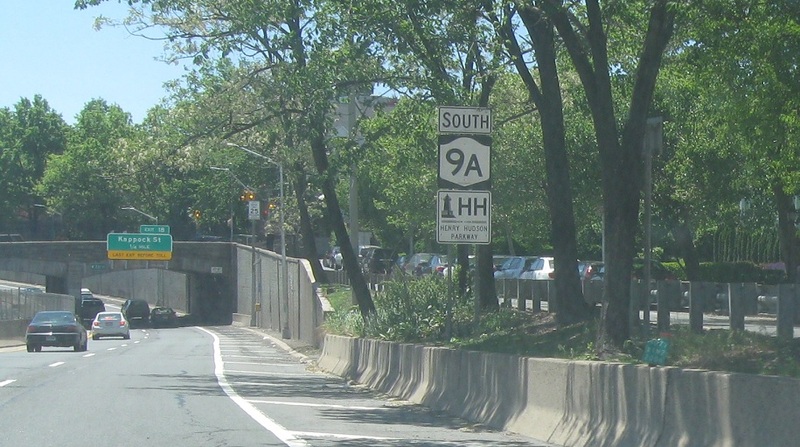 As 9A joins the Henry Hudson, we’re advised of the upcoming Hudson Bridge to Manhattan. 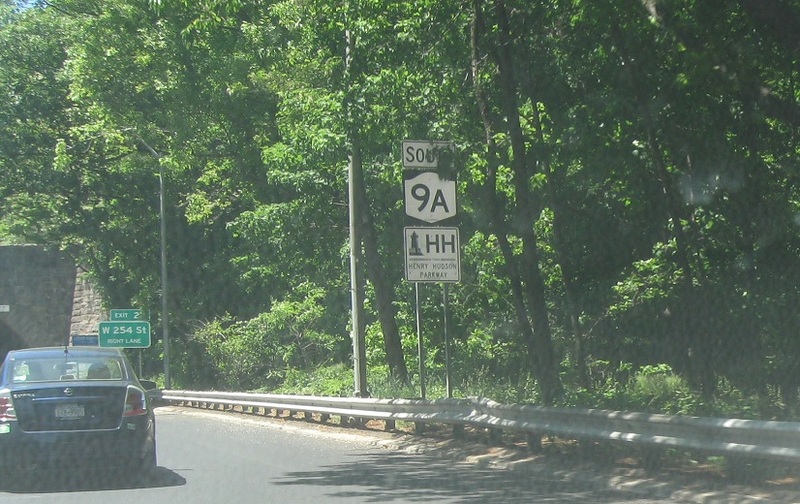 Reassurance shield as 9A joins the Henry Hudson. 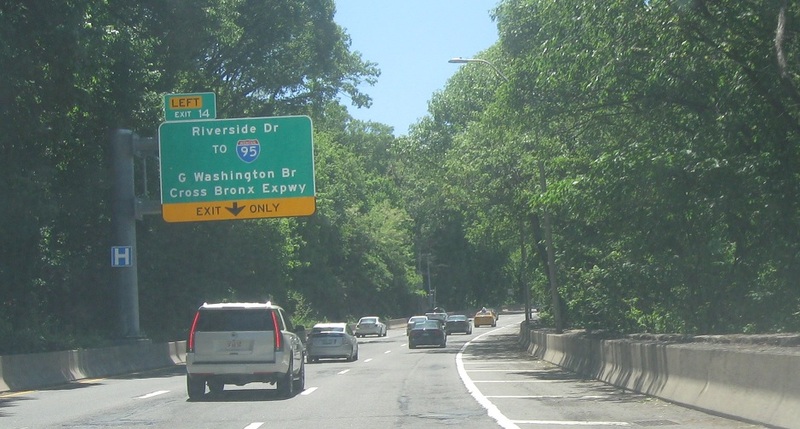 Reassurance shield after 254th St/Riverside Avenue. 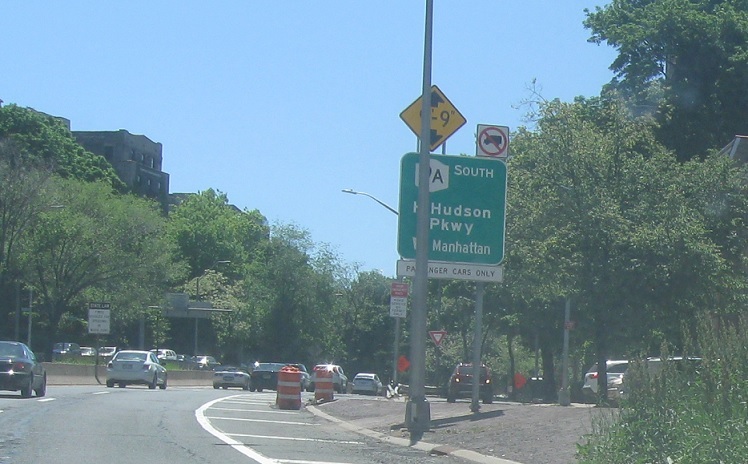 Reassurance shield after 232nd St.
At Kappock Street, stay on the Henry Hudson for the bridge to Manhattan. 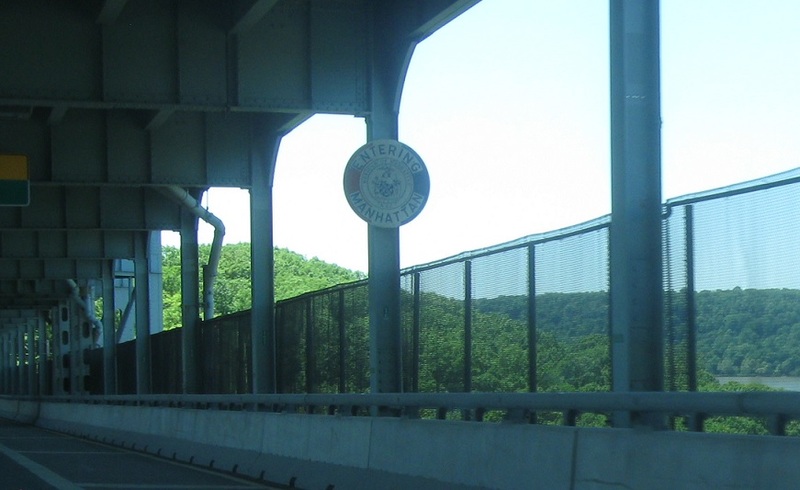 The southbound highway uses the lower deck of the Henry Hudson Bridge. 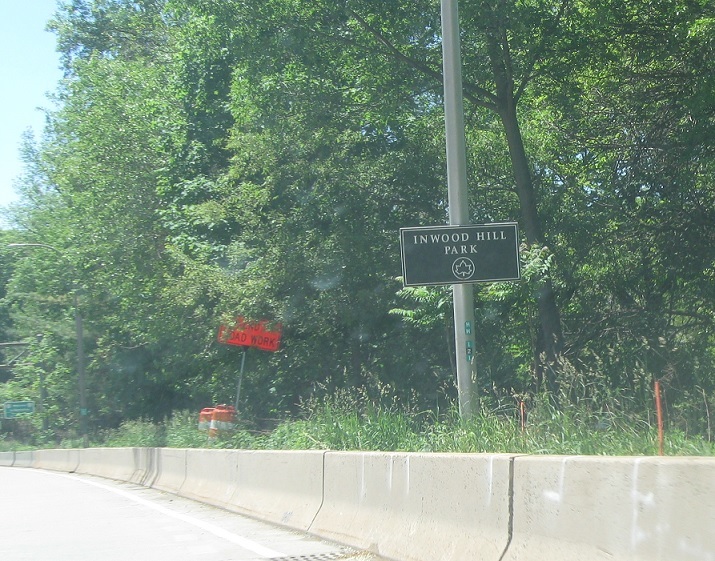 After crossing the river, we’ll enter Inwood Hill Park. 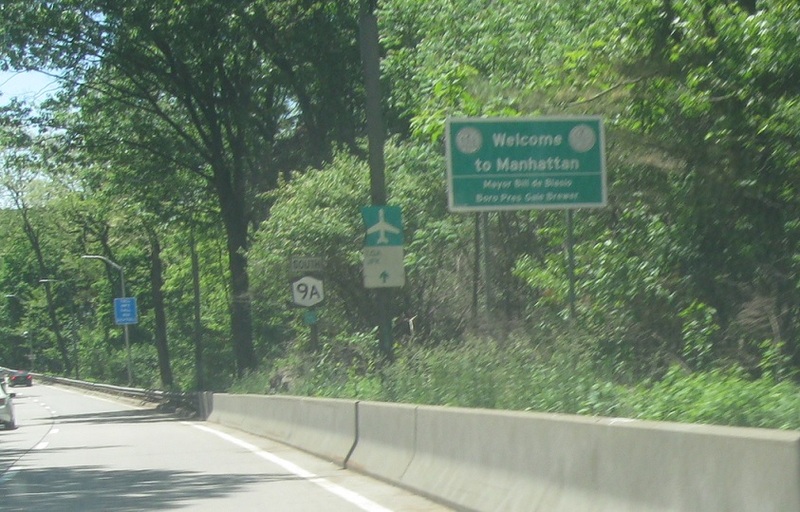 Another welcome to Manhattan sign. 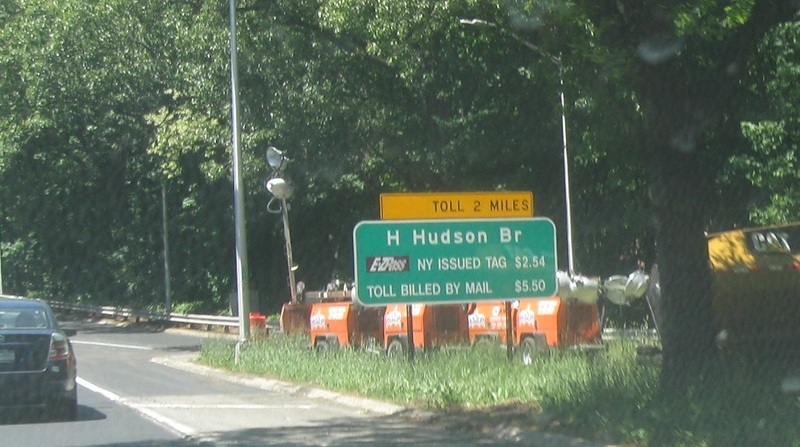 Reassurance shield omitting the Henry Hudson as we enter Manhattan. 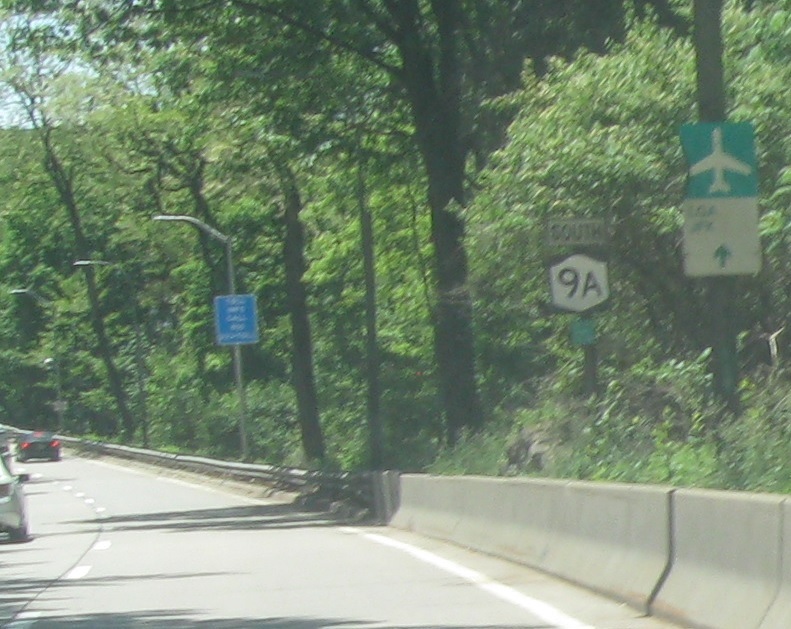 Stay on 9A for both LGA and JFK. 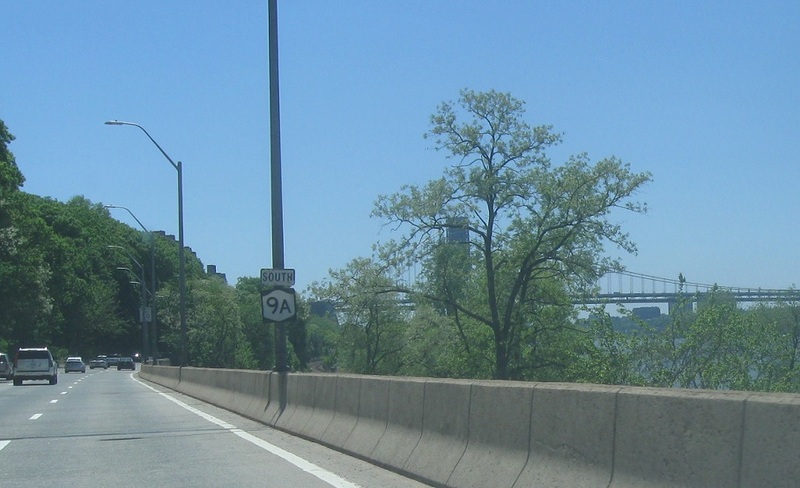 Reassurance shield after Riverside Drive as the George Washington Bridge comes into view. 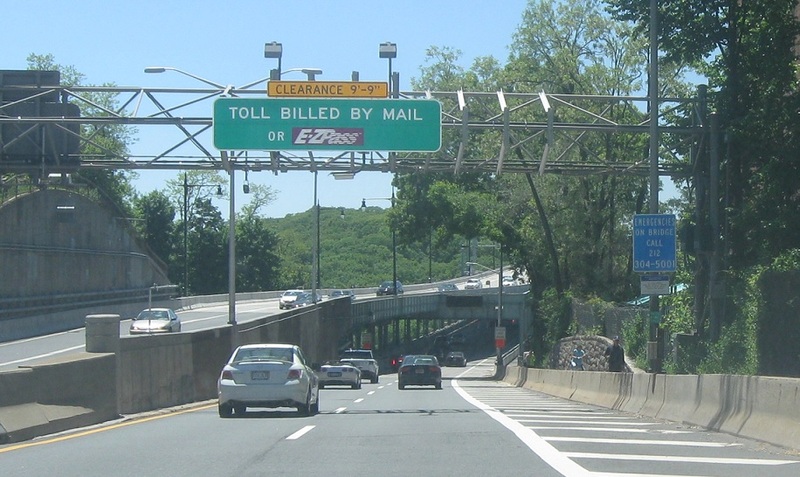 Keep left ahead to merge onto Interstate 95 in both directions via Riverside Dr. I-95 traffic has a direct connection to this road without using surface streets. 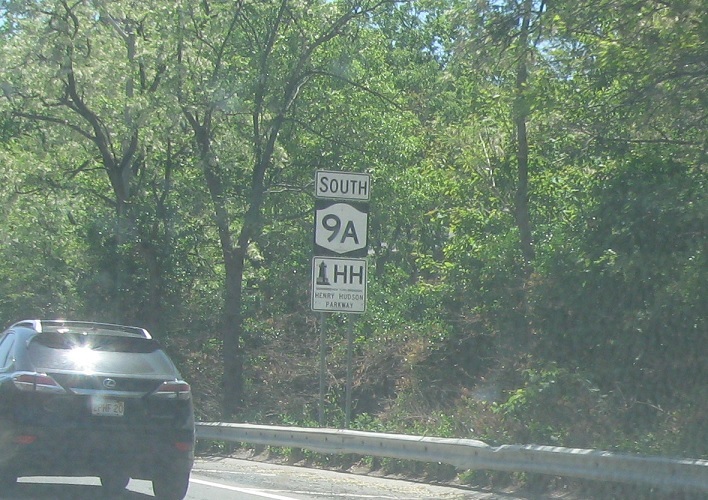 I-95 carries US 1 and US 9 here as well. 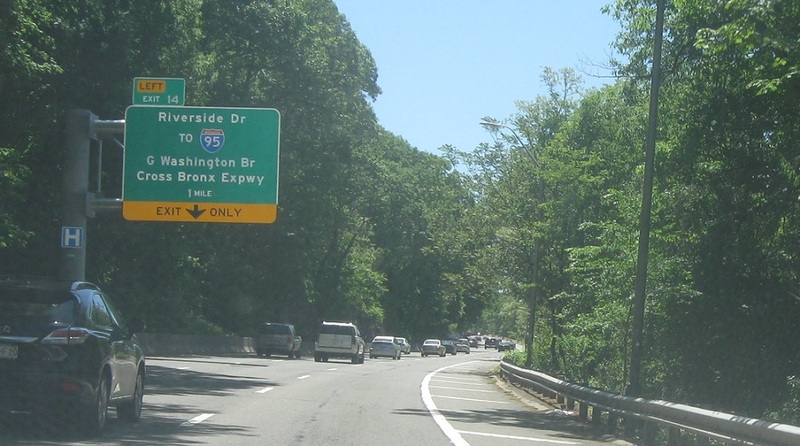 Exit left to connect to the George Washington Bridge and the Cross-Bronx.